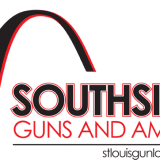 Southside Guns and Ammo Offers Online Firearms Browsing! - What's New! HomeBlogGun Shop NewsSouthside Guns and Ammo Offers Online Firearms Browsing! Shopping for firearms can be an intimidating experience. Not everyone is well-informed, and nobody wants to fall victim to sales pressure. While Southside Guns and Ammo has a staff of experienced professionals, who want to sell you the weapon YOU want, sometimes online shopping is more comfortable, or maybe the customer knows exactly what they want, and doesn't want to deal with a store. This is where Southside Guns and Ammo's online catalog comes into play. Southside has partnered with Zander's sporting goods catalog, to allow customers to find the exact firearm online that you are looking for. The catalog is easy to navigate and laid out in a way that amateurs and pros alike can find their firearm. The detailed descriptions and item numbers ensure that you get exactly what you're shopping for, and our helpful staff is always available at 314-353-1900 to lend a hand with questions. Please, try our online catalog today, and come into Southside Guns and Ammo to see the difference that an informed, polite sales force can have on your buying experience. Shop online at http://stlouisgunsales.com/shop-online.html and visit us in-store at 8101 Gravois Road, St.Louis Missouri, 63123 today! « Rifles and Shotguns, a pioneer’s best friend.